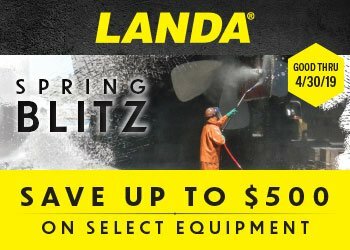 Designed for versatility, the Landa HD Electric Series carts are corrosion-resistant aluminum pressure washers that easily convert from a cart to a skid for maximum cleaning agility and durability. 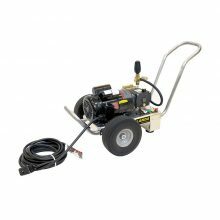 These reliable pressure washers have a low profile handle and compact footprint, making them easy to maneuver. 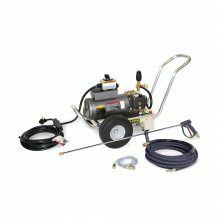 They also offer a bypass loop for additional pump protection, a 7-year pump warranty and flat-free tires. Note: Skid mount feet available (sold separately). Comes equipped with Auto Start/Stop. Note: Skid Mount Feet Not Included (available as accessory).